Firas Kabbara quit his job in Qatar and moved to the UK in pursuit of an MBA. His time at Aston Business School helped shield him from the effects of the financial crisis on the jobs market. Firas Kabbara quit his job and invested in his education at the height of the economic crisis in 2008. In retrospect, he made a wise decision. 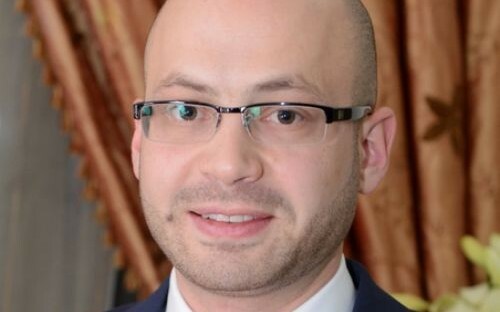 Attending the Aston Business School MBA program enabled him to push his career further. Moving from Qatar to the UK was also a challenge; there are vast cultural differences between the two countries. But Firas has no regrets. In his interview with BusinessBecause, the Aston MBA graduate explains his b-school choice, the impact it has had on his career and suggests that an MBA is a life-long investment. When I decided to pursue higher education, the 2008 economic crisis had already left its impact on businesses around the globe. The negative outcome this had on the highly-skilled expatriate was indisputable. The market recession inevitably lead to a shortage of available opportunities for career advancement. It was then the perfect timing for me to equip myself with the knowledge that would give me an edge over my peers when the market improved. I enrolled in an MBA program at Aston Business School to enhance my personal profile and get exposed to the latest business and management thinking and practice. What are the main takeaways you got from the school's program? An MBA is much more than just an academic learning experience; it provided me with an opportunity to develop myself in many other ways. Why would you recommend Aston to prospective MBA students? Aston offers a variety of MBA specialisms and the flexibility of switching between full-time and part-time [study]. The tutors and lecturers are friendly and experienced in their fields. There are industrial visits integrated to the program and a one-week European study tour. Besides, the Aston MBA includes a unique connect module dedicated to keeping students focused on their personal ‘impact’ development. But there are other benefits that students can take for granted. Aston is a vibrant school with a decent campus located in the vibrant heart of Birmingham. It’s few minutes away of the Bull Ring (one of the biggest shopping centres in the midlands) and few miles from Broad Street – one of the city’s busiest and most popular entertainment, leisure and business destinations. How has an MBA contributed to your career path and progress? An MBA is not like any other conventional academic program. With its mix of practical subjects, it has broadened my perspective of things on both business and personal fronts. Its impact is rather qualitative. My MBA has prepared me with practical knowledge and helped shape my mind in such a way that I can seize opportunities. The skills that I was able to develop have helped me to stand out of the crowd. It helped me to get a decent managerial job, a European experience and an increase to my [salary] compensation of around 20%. But an MBA is something that stays with you for a lifetime. You have already worked in Qatar, the UK and the UAE. Do you see any differences in business culture between these countries? There is definitely a huge cultural difference in the approach of doing business. The behaviour that might be considered normal in the Middle East could be radically different to the behaviour expected in Europe. For instance, in the UK, meetings often follow a rigid structure where points are discussed at given times, as opposed to Qatar where there is great importance attached to courtesy and hospitality, which can cause delays and prevent a strict schedule. Within the Middle Eastern business culture, establishing personal relationships with prospective clients can be a strong business tool, whereas personal relationships in Europe have less impact on business dealings. What affected your decision to move from Qatar back to the UK? Organizations from different industries were suffering from the consequences of the market recession at all levels, which translated into lack of chances for career and personal growth. I resigned my position in Qatar, moved to the UK to and earn two Master’s degrees and a rewarding European experience. How do you manage your day-to-day obligations and how do you blow off steam? I push myself and others to reach milestones. When planning has served its purpose, I start translating it into actions with no hesitations. I do so by prioritizing tasks, splitting them into smaller ones and tackling them separately. What helps me most is probably keeping an achievable to-do list. When I feel stuck somewhere I isolate myself from the world for a while, try to top-up my energy, and then get back into to my usual routine.